(Complex) – Rap fans—and even artists like Rick Ross—have been captivated by the nearly three-year saga of Lil Wayne feuding with Birdman and Cash Money Records. The battle (with occasional hints towards reconciliation) has raged both in the courtroom and in the court of public opinion, with both sides pleading their cases on social media and onstage. Wayne, who has been recording with Cash Money Records since he was 12 years old, accused label co-founder Bryan Williams, alternately known as “Birdman” and “Baby,” of stealing over 50 million dollars from him. 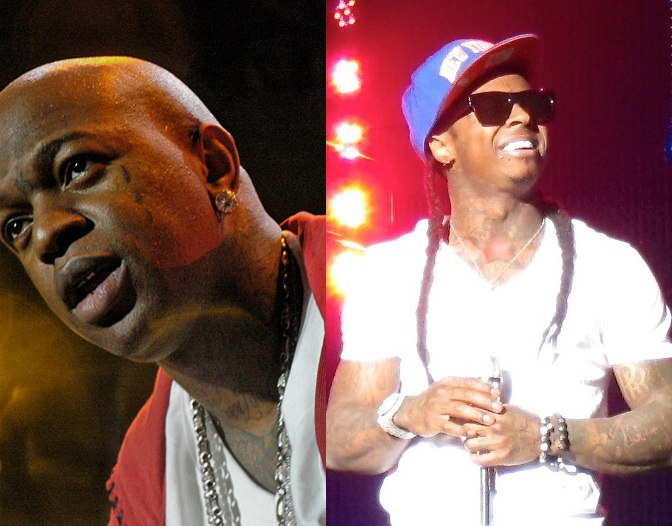 Birdman and Weezy had been so close that Wayne constantly referred to the elder man as his father. The two even titled their 2006 duet album Like Father, Like Son, so the news of the alleged shady business practices caught many by surprise. But perhaps it shouldn’t have. There has been a long history of accusations of nonpayment, underpayment, and various other bad business practices leveled at Birdman. Tyga, former in-house producer Mannie Fresh, “A Milli” producer Bangladesh, and Hot Boys member B.G. are only some of the people who have complained about Birdman and his brother and co-founder, Ronald “Slim” Williams, over the years. In fact, according to some of the people who were there at the beginning, Cash Money has always been shady about its cash money. Even when it was a regional label, from its founding in 1991 until a team-up with Universal Records in 1998, tales abound of Birdman and Slim ripping off young artists. The entire roster (at least those who survived—a number were killed during a particularly violent era in New Orleans), minus a teenage Wayne and B.G., left the label prior to the Universal deal, citing almost identical complaints about missing dough. Lil Slim, who recorded three albums for Cash Money between 1993 and 1995, was signed fresh out of high school at 18.